This is a limited edition serigraph produced by Warner Bros. studios in 1995 titled, "Nine Times the Heat." 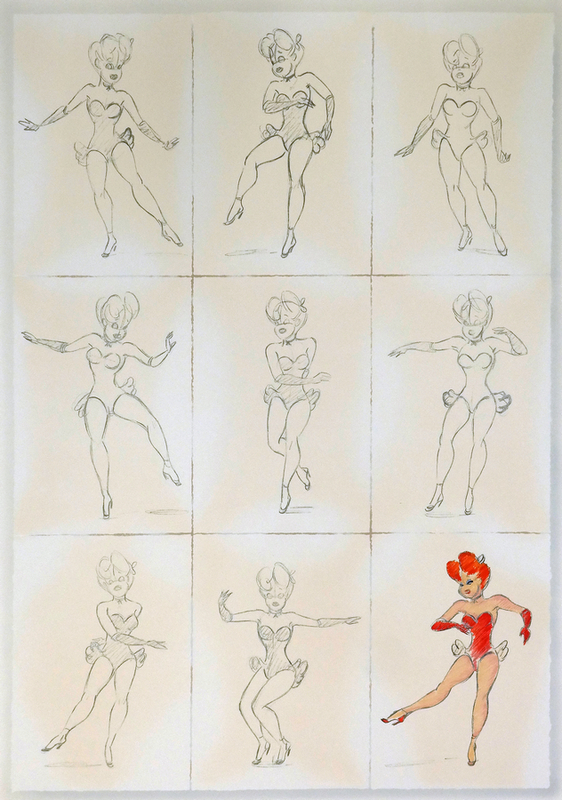 Red Hot was created by legendary animator, Preston Blair, and this limited edition print exemplifies the unmistakable style of Blair. 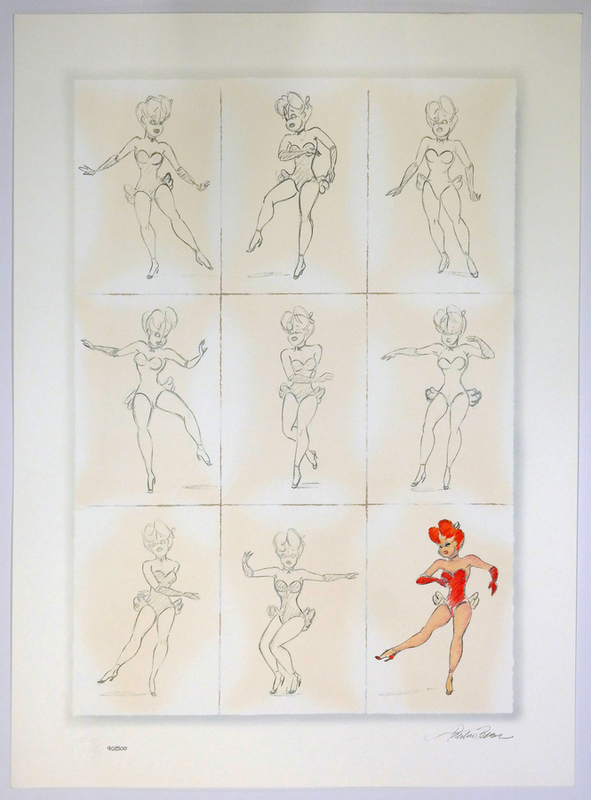 The imagery features 8 poses of Red Hot, recreated from Blair's original rough drawings, and one full color rendering of her final image. This edition is limited strictly to only 500 pieces, and was silk-screened with the Hanna-Barbera Seal of Authenticity, and Preston Blair's signature, onto an acid-free rag paper stock. This serigraph measures 36.5" x 27.5" and is in excellent condition.